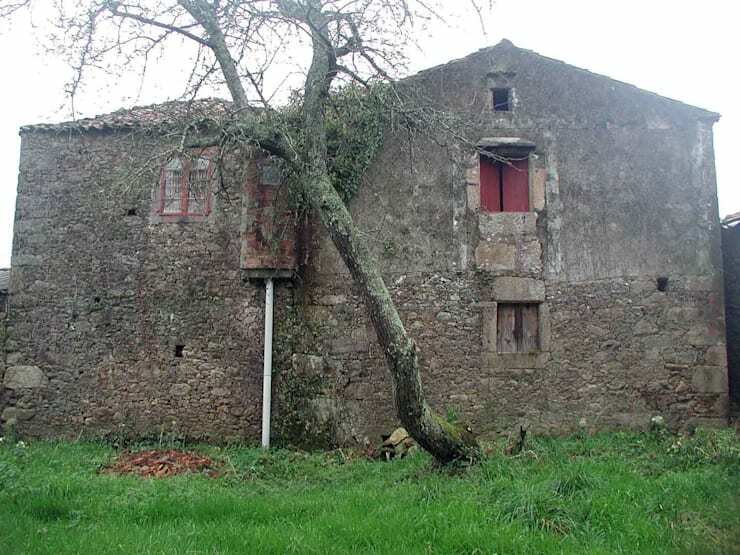 Today we are going to visit Spain, where we find an old run down stone home that was on its last legs. Architects Intra Architects, intervened however, transforming this pile of rubble into a majestic looking stone house that almost looks like a castle! In fact, it looks like you may even find royalty staying in this gorgeous family home. Complete with a big back garden, modern rooms and a rustic charm, this is a transformation that you have to see to believe. If we look at this old stone home before the renovation, we can see what a state of disrepair it was in before the renovation. It looks like an old haunted house on the hill! Despite its very grand size and gorgeous and charming stone walls, this home hasn't been cared for in quite some time. The result is a a run down facade, battered window shutters and an overgrown garden. Remember that the facade of your house is always the first impression that people will get of your home so you need to do regular maintenance work on it. Trim any overgrown plants and trees, fix any cracks or holes and repaint any shabby spots – otherwise you could end up with a home that looks spooky like this, rather than a house of charm! If we head inside the old home, we can see how dark and gloomy the living space was. The floors look damp and full of mold while the walls look grubby and old. 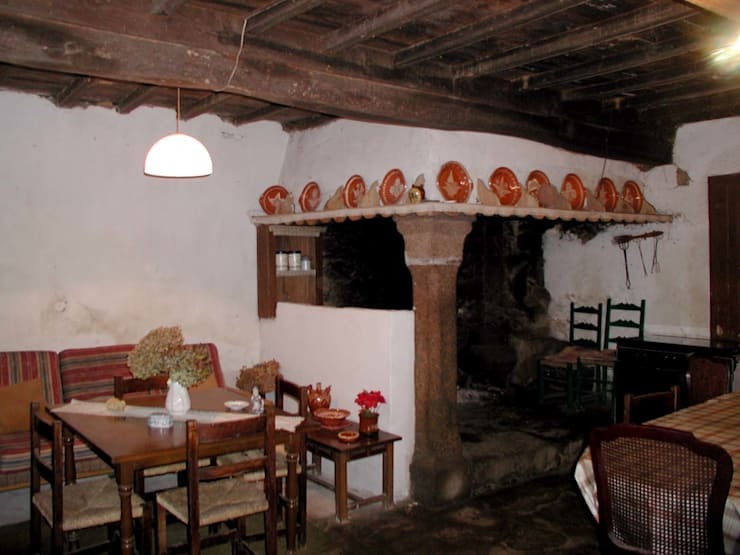 The furniture and decor is also very old-fashioned, doing nothing to enhance this space. It's also very dark and gloomy, almost like there is a ghost waiting in the corner! If we head into the bedroom of this old home, we can see it was in a very sad state of affairs. Not only does the ceiling look like it's about to cave in, but none of the colours work in harmony. In fact, everything seems to have been haphazardly thrown together, creating a clutter of colors and objects. The lighting is very miserable, coming from a lone little globe in the ceiling. Your bedroom is meant to to feel like a little haven, where you can escape from the world. This is anything but. 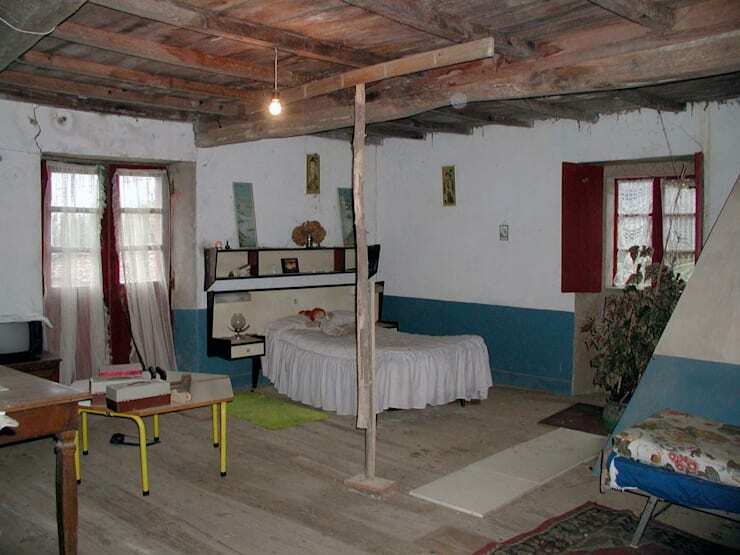 If we look at this image, we can see just how uninhabitable this home truly was before the renovation. 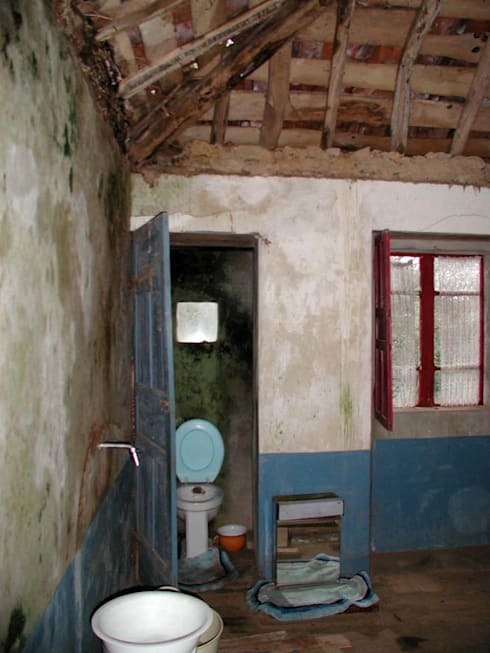 The bathroom is grotesque and unhygienic, while the walls around it look dirty and grimy. It looks like this home has been taken over by squatters. Would you want to set foot in this grubby space? The transformation is unbelievable. This home has evolved from spooky and uninhabitable to charming, warm, grand and inviting. 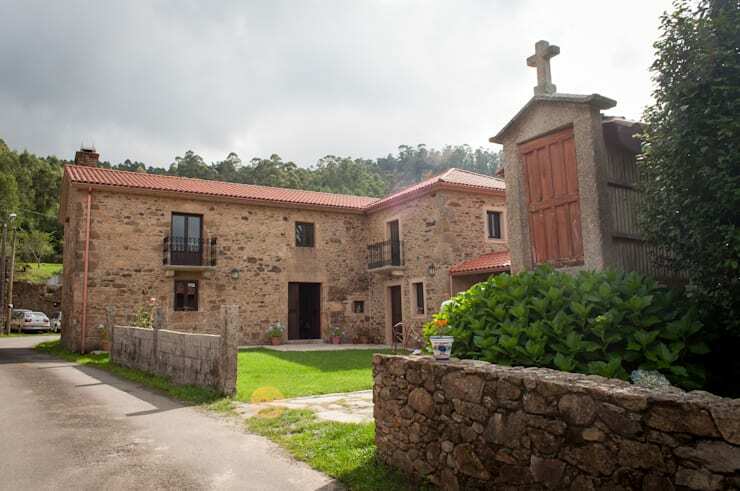 The facade has been completely restored, resulting in a very modern stone house that is well-maintained. The stone walls complement the wrought-iron balustrades and terracotta roof tiles. Don't you love how old meets new in this design, with the original structure and charm retained? The property has also been transformed from overgrown and wild to neatly manicured and attractive. Now it can be utilized by the whole family! The living space is absolutely glorious and is now fit for a king! 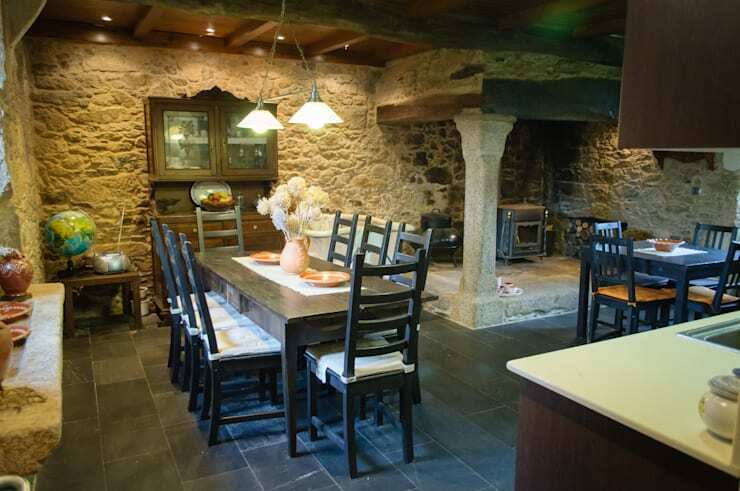 The floors have been replaced with modern slate tiles, while the stone walls have been restored so that they are clean and take on a warm, earthy appeal. The space has also been far better organized, with the designers only including furniture that is necessary into this space. The pieces also match now as well, with the tones and shades working in perfect harmony. This is space is also much lighter and more appealing. You'll notice that the dining room lighting is very modern and functional, with two lamps suspended over the table, allowing diners to see what they are eating without the whole room being flooded in an unattractive bright light. Ambiance is key! The entrance hall of the home is very attractive and charming, combining modern elements with some personal touches. The large front door, which allows light to stream into this space, opens onto a wide hall lined with little potted plants. Pot plants or vases of flowers can add a very natural form of decor to a home and are budget-friendly! 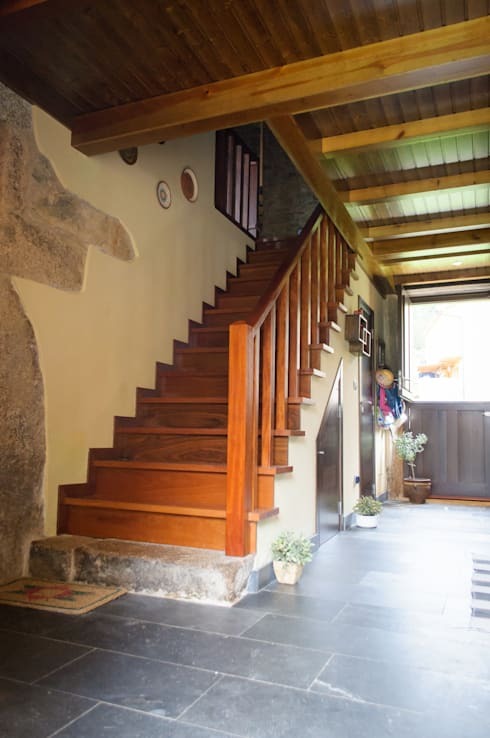 The wooden staircase is a decor element in itself, on top of being a functional feature that connects the ground floor to the second floor. Remember that your home is your own personal space, so you want to highlight elements of you in it. Hang up pictures or your favorite artwork and include decor items that speak to you. Have a look at these tips for making a great impression with your entrance hall. The transformation of the bedroom is incredibly dramatic – we can't even compare the two. 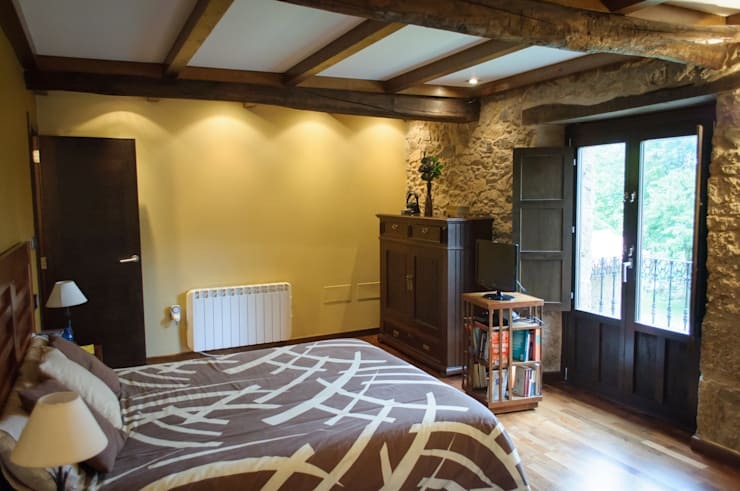 This bedroom is finished in different shades of caramel, which brings a very earthy and cozy look and feel to the space. This is truly a little cocoon! The designers have integrated a stone facade with a simple plastered wall, which has been painted a light color. The dark furniture works beautifully with the walls, which are further complemented by the dark linen. What's so important about this space, however, is how the natural light flows into it, making it warm, light and appealing. Now this is a bathroom we can work with. Completely renovated compared to the bathroom we saw in the old design, it is modern clean, fresh and hygienic! 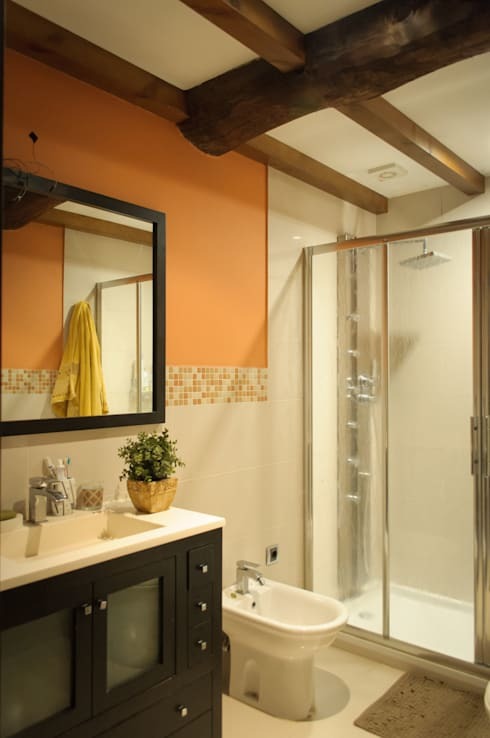 The designers have gone for neutral colors in this space, including white and a dark wood, but have added some orange to the look and feel, which brightens the space up. The mosaic tiles also add a bit of texture to the room. Despite the charm of the old stone house, the designers have included a very modern shower and sink in the bathroom for a more sophisticated space. The bathroom mirror is a fabulous feature in this room as not only is it functional, but it also visually expands the bathroom, making it seem that much bigger. What do you think of this before and after? Is it a success?